Now that I’ve had my baby and am trying to get back in shape I’ve been searching for new healthy recipes. It’s hard to find recipes that actually taste good, so I scored big with this one!! It’s SOOO good and I don’t even really like Zuchini. Plus it is super easy to make! 1. 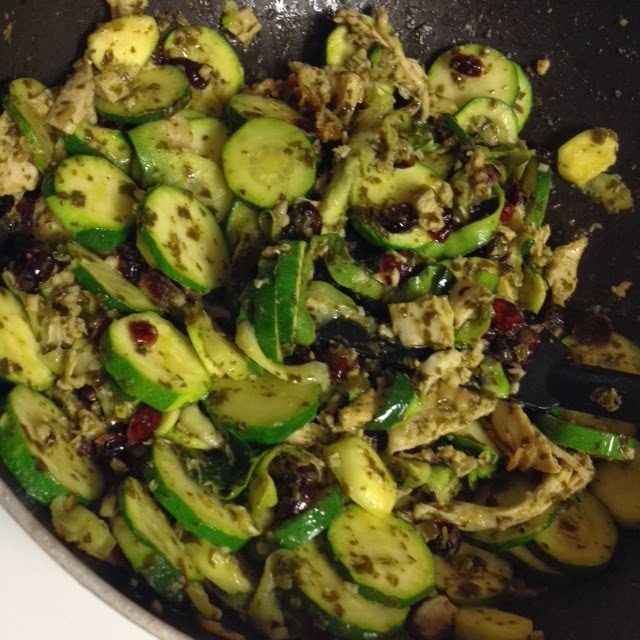 Cut Zucchini into thin slices and toss in olive oil. 2. 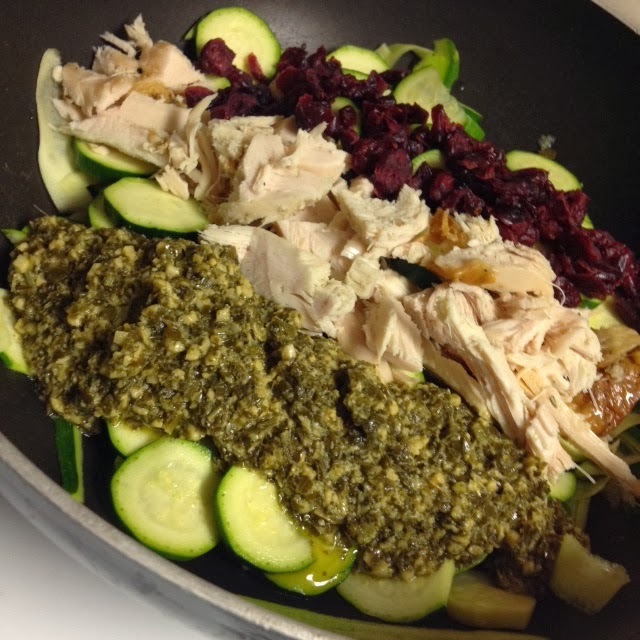 In a skillet add Zucchini, pesto, shredded chicken, and dried cranberries. 3. Cook until Zucchini is tender. Can't wait to try this without the chicken. Sounds yummy. G'day! 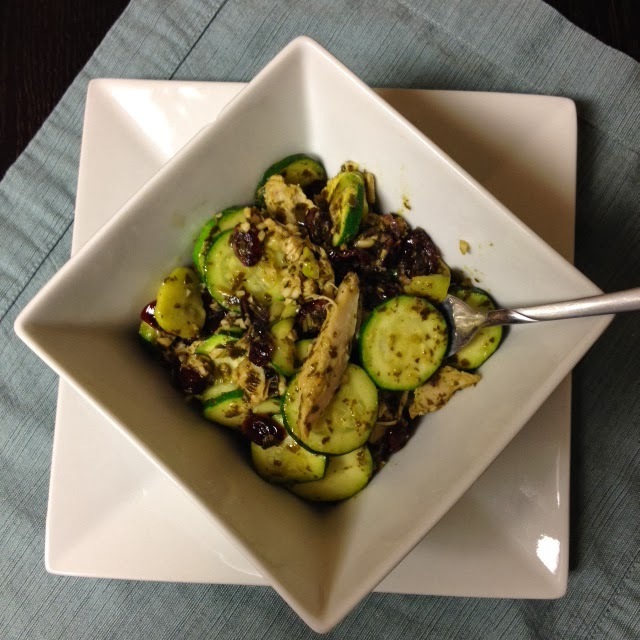 For when one wants a quick chicken healthy salad! I have not seen a recipe like this. It really looks delicious. Thank you so much for stopping by Saturday Dishes and linking up. 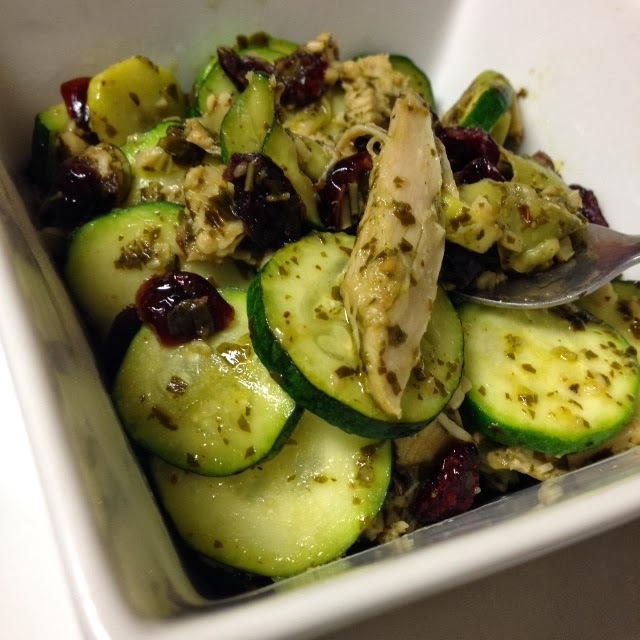 Zucchini, pesto and cranberries? Sign me up! I love them all. What a great dish! Thanks for sharing at Saturday Dishes. That sounds great! I have soooo much zucchini from my garden right now and need new recipes. Thanks!